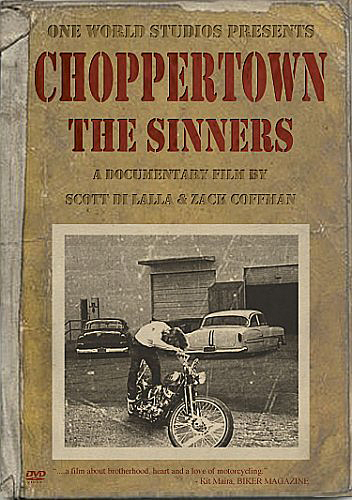 One World Studios Ltd. announced today that it will be releasing the much anticipated follow-up to its award-winning feature documentary, "Choppertown: the Sinners" continuing on the success of their unprecedented insider look at biker culture. "Choppertown: From The Vault" will take viewers back inside the underground world of the Sinners hot rod and motorcycle club, with even more of its trademark freeway riding, bike wrenching, and bittersweet romanticism of biker brotherhood. "Quite simply the best documentary ever made about custom motorcycles," ~Back Street Heroes Magazine. One World Studios Ltd. announced today that it will be releasing the much anticipated follow-up to its award-winning feature documentary, Choppertown: the Sinners continuing on the success of their unprecedented insider look at biker culture. "After the incredible worldwide success of Choppertown over the past six months, we decided it was time to head back to our vault and create a new experience for our supporters," said Scott Di Lalla, who along with Zack Coffman created, produced and directed Choppertown. 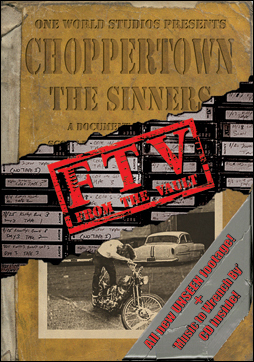 "Choppertown: From The Vault" will take viewers back inside the underground world of the Sinners hot rod and motorcycle club, with even more of its trademark freeway riding, bike wrenching, and bittersweet romanticism of biker brotherhood. The limited-edition "FTV" features over two hours of all-new unseen footage and even includes the film's soundtrack "Music to Wrench By" as a bonus CD in every package. "We wanted to reward the fans for their loyalty and give them a really nice package," said Coffman. "They've been going into their community and organically promoting the film by holding screenings in bars, garages and living rooms all over the world. We want to be known as filmmakers that give more than asked for instead of just a bare-bones experience. In the end, it's the fans that support all of us in this industry and they appreciate it when you go the extra mile." Regarding the tough road of indie distribution Di Lalla muses, "It's been so amazing. Since we began self-distributing the film a few months ago, people have come out of the woodwork to help promote it. We now have direct distribution in Japan, Great Britain, France and even Finland because our fans are so supportive. They've been PayPalling us and pre-ordering 'From the Vault' for months because they want to be the first on their block to get it and because they want to be a part of the phenomenon." Custom chopper builder and modern day greaser Kutty Noteboom builds his working man's chopper from the ground up with the help of good friend Rico and the rest of his biker brothers in this intimate award-winning documentary about renowned hot rod and motorcycle club the Sinners. Featuring: Rockabilly Hall of Famer James Intveld, custom builder Cole Foster, and rebel skater Jason Jessee. 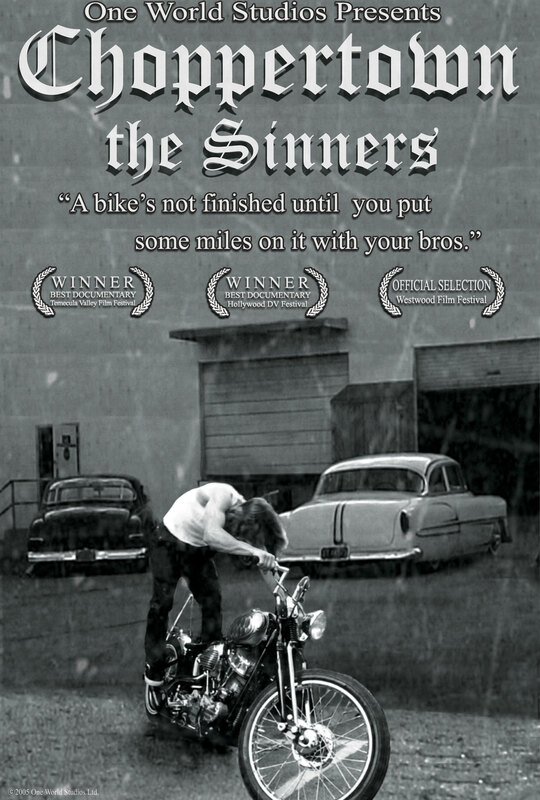 Choppertown: the Sinners is available through Choppertown.com as well as all major DVD outlets such as Amazon, DVDEmpire, Netflix, and iTunes. 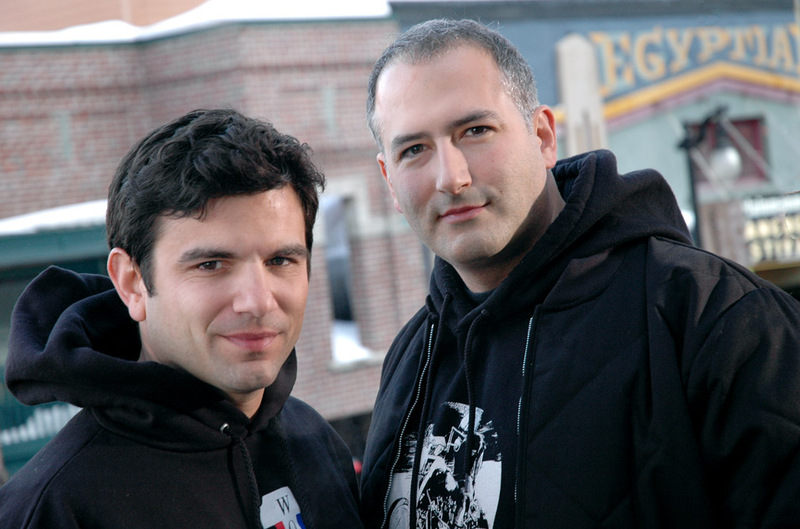 One World Studios Ltd. was formed in 2001 by filmmakers Scott Di Lalla and Zack Coffman to produce and distribute live-action motion pictures; documentaries; animated feature films; network and cable television programming; home video entertainment; records; books; toys; and consumer products. Choppertown: the Sinners - onesheetA web-ready jpeg of the official poster for the award-winning biker documentary "Choppertown: the Sinners" Choppertown: the Sinners - DVD coverA web-ready jpeg of the DVD artwork for the award-winning biker documentary "Choppertown: the Sinners". Choppertown: From The Vault - DVD coverA web-ready jpeg of the official poster for the hit biker documentary "Choppertown: From The Vault". Choppertown filmmakers Scott DiLalla and Zack CoffmanA web-ready jpeg of Scott Di Lalla and Zack Coffman, producer/directors of the award-winning biker documentary "Choppertown: the Sinners".